If you are gold or dimond addicted you should apply for Goldstriker to get specially established gold iPhone - most expensive I have ever seen. 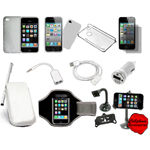 It is for the true connoisseur of iPhone fans. 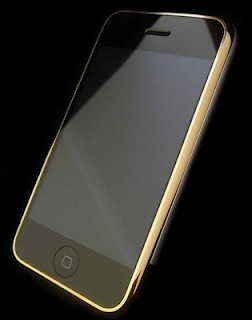 It is elegantly lined with 24ct gold on the iPhone’s front bezel. Parts adourned in gold inc front full surround and 3/4 of the rear revealing a total mirror finish.The back of the phone is painted in a custom black paint. The back of the iPhone also sees a 24ct gold Apple logo. The phone itself is the 16GB model. This beautifully crafted iPhone can be had for GBP699.95 ($1384). Goldstriker International operate as a family run business, specialising in precious metal plating. Sure, shiny Iphone makes you different! But how different is the sum you are ready to pay for it?